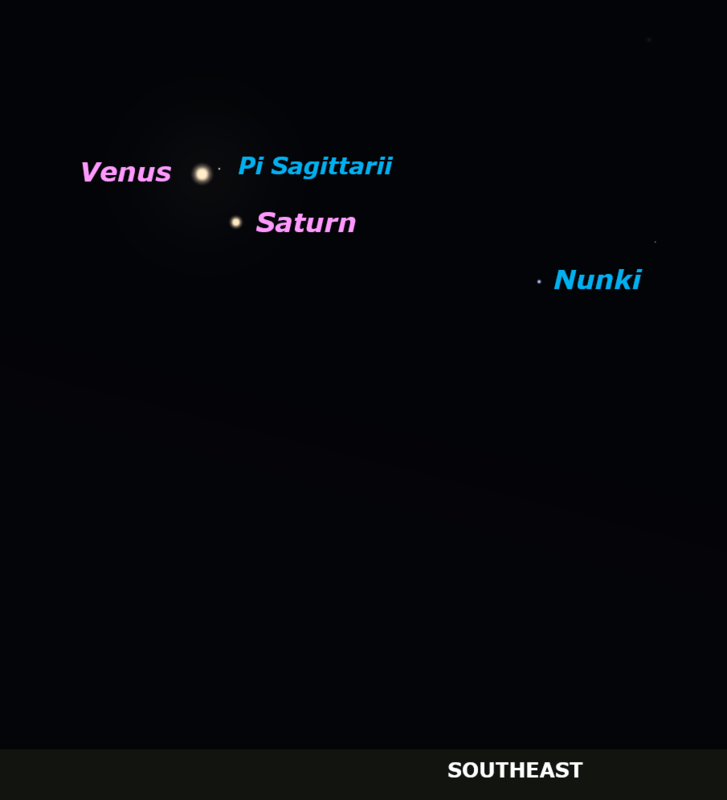 The planets Venus and Saturn will share the dawn sky for a few days. This is the configuration on February 18, about one hour before sunrise. A few stars of Sagittarius may be visible as well, including one that's especially close to Venus. Venus and Saturn will stand side by side on February 19, with Saturn to the upper right of Venus on the 20th.